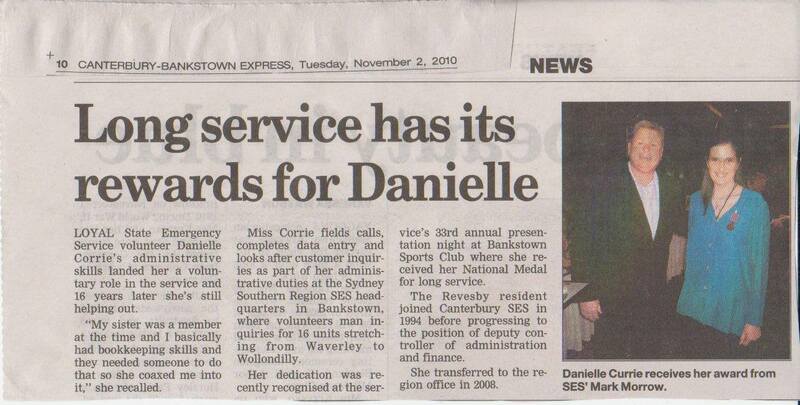 An article was written by the Canterbury Bankstown Express on Danielle Corrie who, as a volunteer member of the NSW State Emergency Service (SES), received her National Medal in November 2010 after 15 years of service. 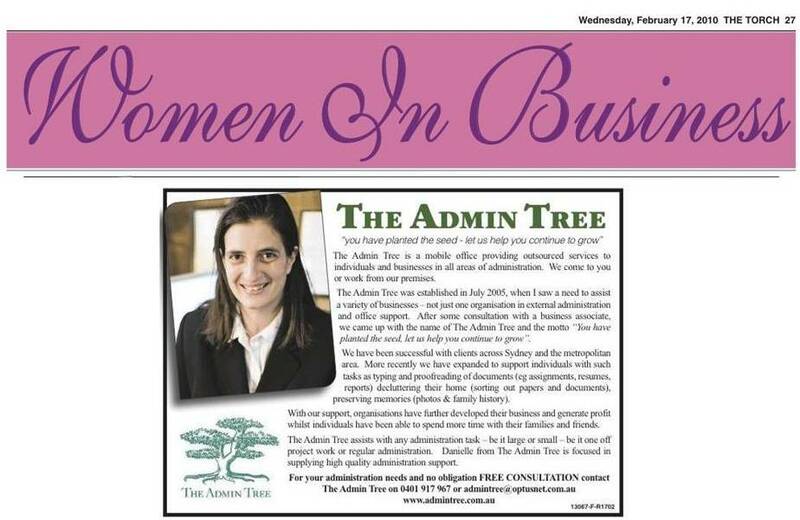 In February 2010 Danielle Corrie of The Admin Tree was part of the Women in Business promotion run by the local newspaper The Torch Publishing. 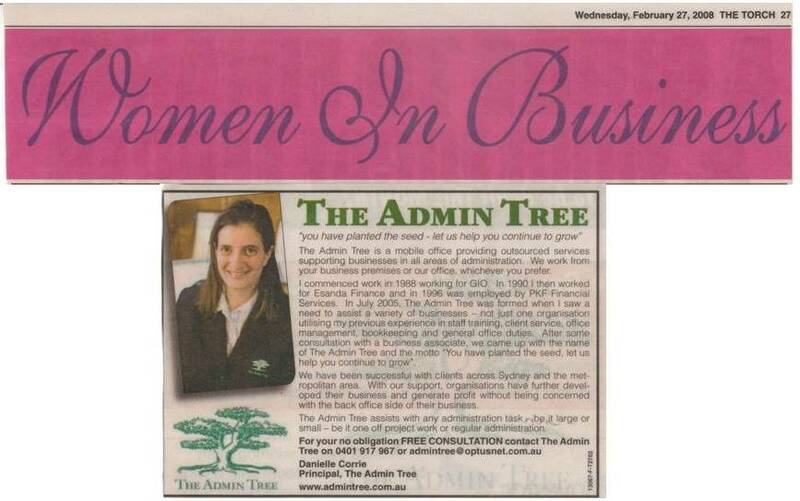 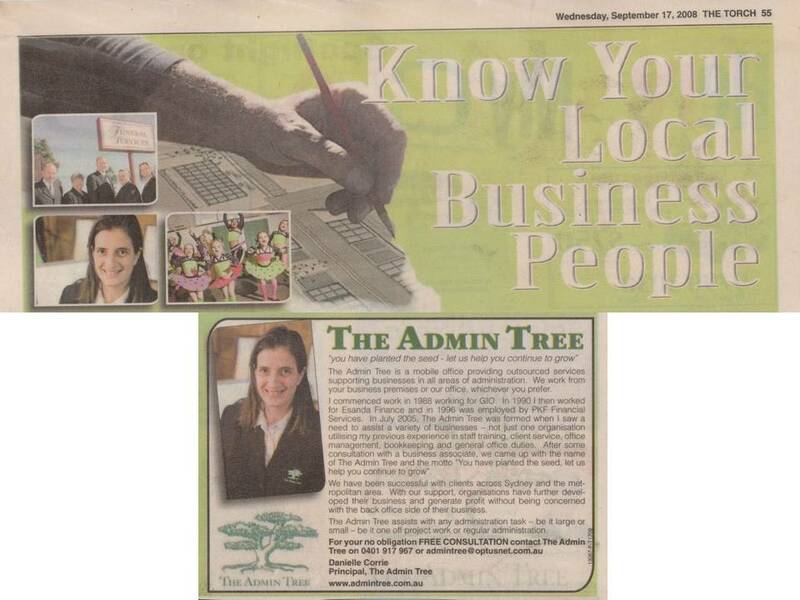 In February 2008 Danielle Corrie of The Admin Tree was part of the Women in Business promotion run by the local newspaper The Torch Publishing.